But you don't have to be a victim. If you've ever bought something online, filled out a web-form, filled out a tax form online or even sent an email, chances are your PC is filled with personal information such as credit card numbers, social security numbers, driver's license, passwords and more! 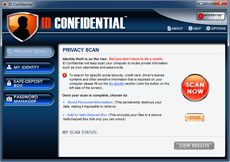 ID Confidential deep scans your PC to find sensitive personal information including credit card numbers, social security numbers, passwords and more. 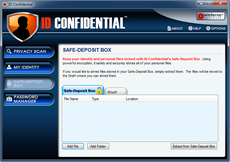 Then ID Confidential will either lock these files in your Safe Deposit Box (that only you can unlock) or it will permanently shred these files. Either way, your personal information is invisible to hackers! 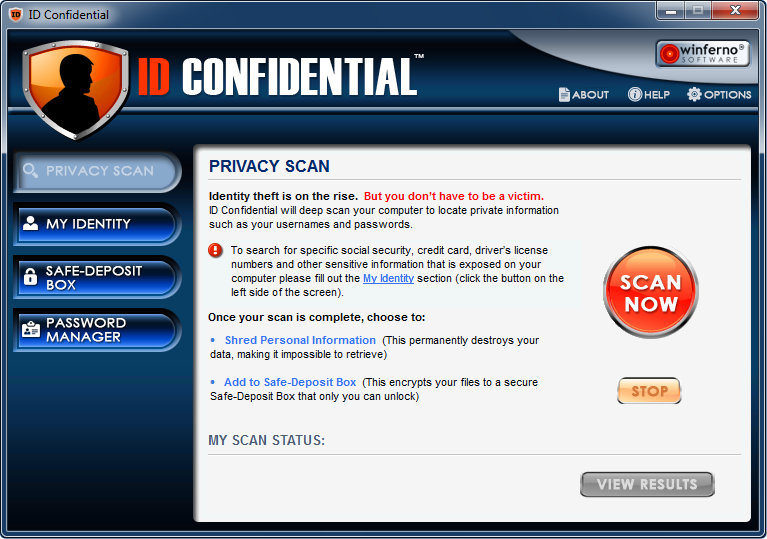 According to the FTC, Identity Theft is the #1 consumer complaint in the United States. ID Confidential is here to help. 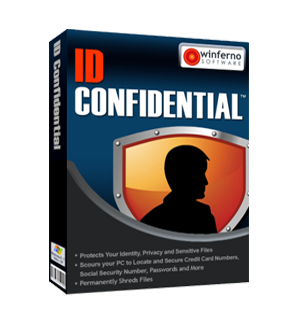 ID Confidential gathers all of the confidential information found on your PC (credit card numbers, social security numbers, passwords and more) and makes them invisible to hackers and thieves. Working deep within your PC, ID Confidential detects and protects even the hardest to reach sensitive files, including your credit card numbers, bank accounts, social security numbers, passwords and more. ID Confidential employs state of the art technology and shreds files using four magnetically disruptive scrub passes ensuring that your sensitive files will be permanently destroyed and cannot be recovered! 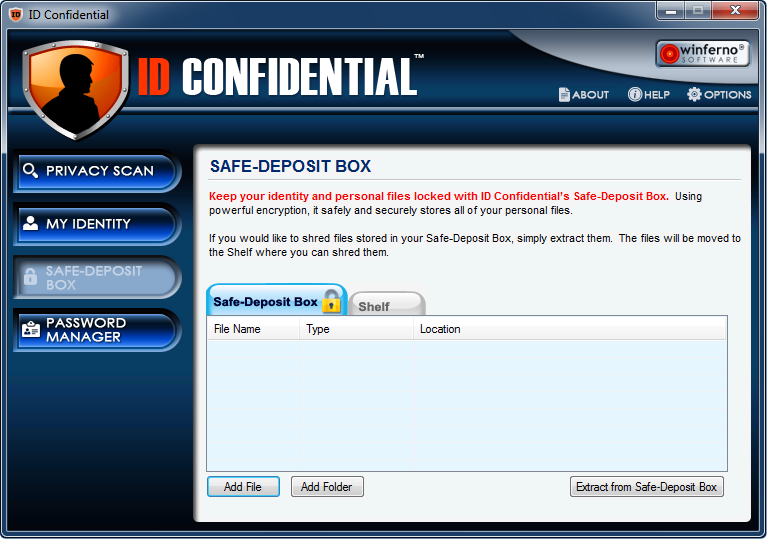 ID Confidential utilizes Triple Data Encryption Standard to safely and securely store your files in an indestructible Safe-Deposit Box - that only you can unlock. Using ultra powerful encryption ID Confidential stores and encrypts your confidential passwords and usernames. Now you can safely store difficult to remember login information, codes and numbers without worrying about anyone else being able to see them.